However, as is typical of Alzheimer’s, Grandfather retains vivid memories of his past and when Mother gives a story cloth made by Grandfather to Chersheng, it allows them to communicate again, even if spasmodically. The story cloth, beautifully depicted here both as a whole and in detail, represents Grandfather’s life as a Hmong hill farmer in Laos. It follows the narrative of his fighting in the Vietnam War and fleeing to a refugee camp in Thailand. The stories remind Chersheng that Grandfather used to be strong and that, as Mother tells him, he made great sacrifices for his family. They also help him to realise that it is now their turn to be strong and look after him. The book’s bi-lingual format (English and Hmong) emphasises Chersheng’s Hmong heritage – an aspect of the book which is more fully explored in the afterword. Although the book does not have a conveniently wrapped up happy ending, the story does end on a glimmer of hope. While it can cause great pain to family members and carers when sufferers of the disease do not recognise their present, a connection can often be found through the past and memory, as Chersheng discovers. We are reminded in an afterword that there are millions of people who suffer from Alzheimer’s – which means that there are also many, many children whose lives are touched by it in some way. 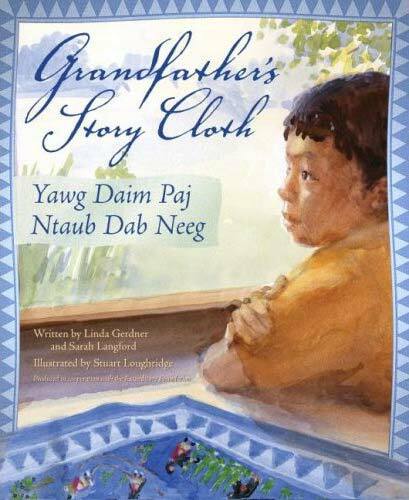 Grandfather’s Story Cloth will be a welcome tool to facilitate understanding and compassion of the heartbreaking effects of this disease on the lives of those both afflicted with and affected by it. 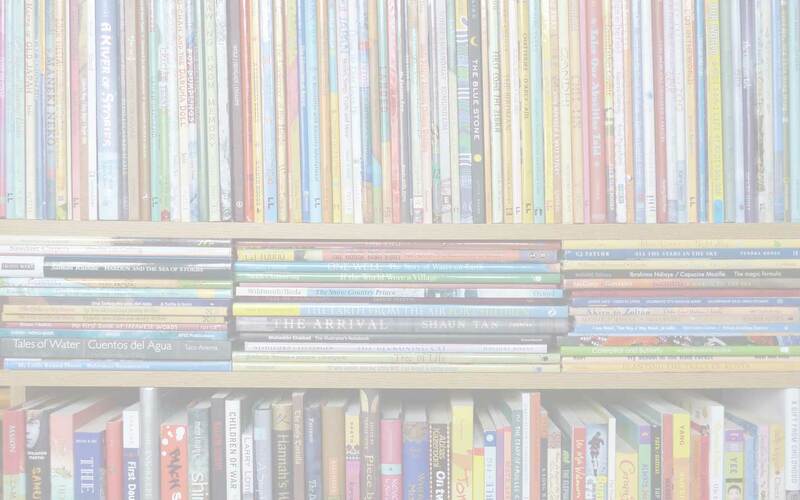 This review first appeared here on the PaperTigers.org website in November 2008.
children's books about dementia, children's books about refugees, Grandfather's Story Cloth / Yawg Daim Paj Ntaub Dab Neeg, Linda Gerdner, MWD book reviews, Sarah Langford, Shen's Books, Stuart Loughridge. Bookmark.